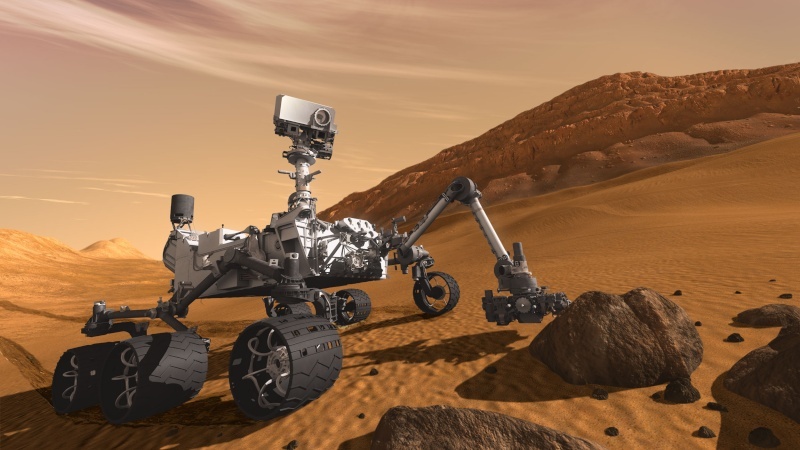 NASA has announced the landing site for the Mars Science Laboratory (MSL) mission. The target is an impact crater with an eroded mountain at its centre. French teams are part of the programme. 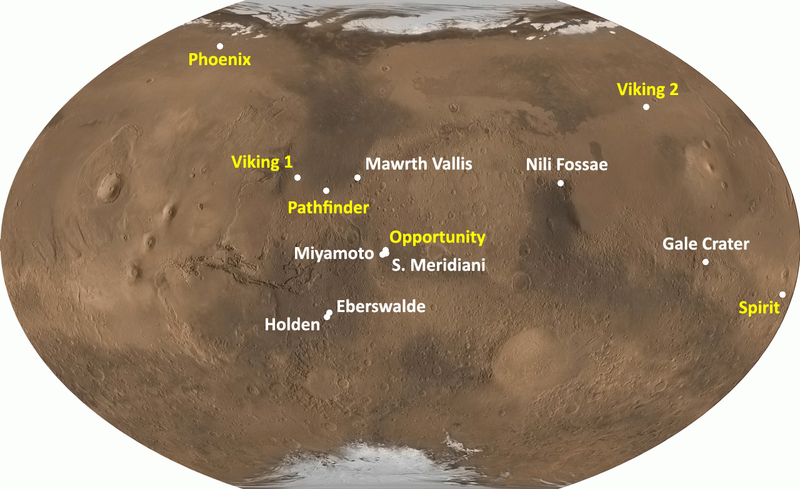 Previous landing sites and the locations of Gale Crater and Eberswalde Crater. Credits: www.planete-mars.com. Choosing the right landing site for a Mars mission is always a long process in which engineers and scientists need to find ‘common ground’. The list of 100 potential sites for the MSL mission had to be whittled down to one. Selection took over five years, with regular eliminations and two finalists: Eberswalde Crater and Gale Crater. Both are interesting because the main task of America’s MSL science mission is to study Mars habitability — i.e. whether life as we know it ever existed on the Red Planet. And since life relies on liquid water to emerge and develop, the target site needs to reveal the presence of clays. These form when water erodes rocks into sedimentary deposits, like the layers of mille-feuille pastry. Impression of the MSL Curiosity rover at work on the planet surface. Credits: NASA/JPL-Caltech. Both candidate sites show strong evidence that water once flowed there. 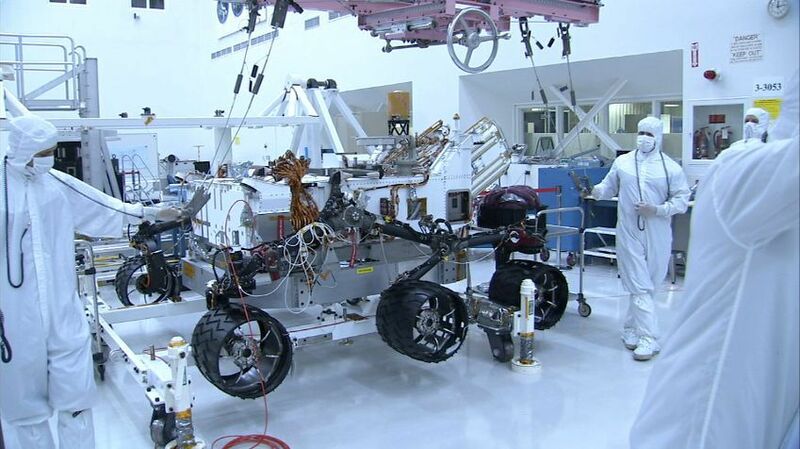 Assembly of the 850 kg MSL Curiosity rover at NASA’s Jet Propulsion Laboratory in Pasadena, California (June 2011). Credits: NASA/JPL-Caltech. The MSL Curiosity rover, designed to perform in-situ analysis on the planet surface, will launch atop an Atlas V rocket between 25 November and 18 December 2011. It will arrive at its destination nine months later. French teams are involved in two of the analysis instruments: ChemCam, which uses a laser to vaporize and analyse the composition of distant rocks (developed under the responsibility of the IRAP astrophysics and planetology research institute), and the SAM analysis suite, which includes the SAM-GC gas chromatograph (developed by the LATMOS atmosphere, environment and space observation laboratory). Four years after Phoenix’s limited success, much is expected of this ambitious mission.